Contact us if you need appliances service in Edison, New Jersey. We are specialists in home appliances, fix both electric and gas units, respond quickly and provide a wide array of services. Want dryer maintenance? Need emergency washer repair? Our team is an expert in laundry room appliances and combination units and can make any new installation while it offers both maintenance and repairs. But we are also experienced, qualified, and well-trained kitchen appliance service technicians. Need quick fridge repair? Want to replace parts of your dishwasher? Is one of the stove burners not working? Come to us. Our entire team in Appliance Repair Edison is prepared to address problems in a timely manner. We are also up to date with any new home appliance in New Jersey and rush to the aid of our residential customers in Edison. When there is a need for urgent appliance repair, we provide assistance as soon as possible. Your household appliances work well when their parts are in tip top condition. When components wear, break or burn out, problems begin. That’s when we come in. Our appliance technicians do what they have to in order to fix the problem. Every home appliance service starts with troubleshooting or thorough inspection of the unit. We need to know what caused the appliance to malfunction in order to fix it properly. 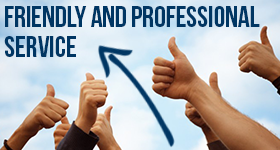 Our experts are always well-equipped and make any necessary part replacement at once. 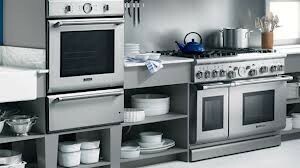 We can fix fridges, washers, ovens, ranges, and stoves of the latest technology and respond on a same-day basis when you need gas appliance service.